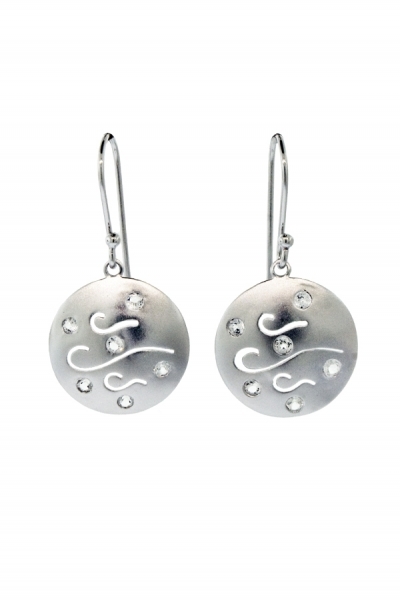 Cast and sandblasted Sterling Silver with White Topaz, depicting the element of wind. Earrings hang approximately 1 1/2" on Sterling Silver ear wire. These are a great idea. Perfect theme and it helped the environment.